From the aerial view to the human perspective, Exploring Horizons looks at what brings us together as people, what sets us apart as individuals and what ignites our passion to explore. Far out destinations, unusual perspectives, fascinating storytellers and a scope through flight that extends far past the usual boundaries: these elements combined achieve a unique portrait of each place, and inspire us to look at our world through different eyes. ARD – das Kürzel steht für: Arbeitsgemeinschaft der öffentlich-rechtlichen Rundfunkanstalten der Bundesrepublik Deutschland . Die 1950 gegründete ARD ist ein Zusammenschluss von mittlerweile neun selbständigen, staatsunabhängigen Landesrundfunkanstalten (am 1. Mai 2003 wurden SFB und ORB zum RBB fusioniert). Deren Aufgabe ist es, Hörfunk- und Fernsehsendungen für die Allgemeinheit zu veranstalten und zu verbreiten. Sie sollen, so lautet ihr gesetzlicher Auftrag, mit ihren Sendungen der Information, der Bildung und der Unterhaltung aller Bürger dienen. Zehntes Mitglied der ARD ist der Auslandssender Deutsche Welle (DW). Founded 1877 by independent-minded Democrat Stilson Hutchins, The Washington Post began publishing on Thursday, December 6. It was printed at 914 Pennsylvania Ave., N.W., and had a circulation of 10,000. The newspaper contained four pages and cost three cents a copy. The Organization for Tropical Studies (OTS) is a non-profit consortium that has grown to include 63 universities and research institutions from the United States, Latin America and Australia. 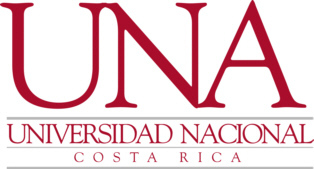 In the early 1960’s, scientists from U.S. universities forged working relationships with colleagues at the Universidad de Costa Rica in the interest of strengthening education and research in tropical biology. Intense interest both in the U.S. and Costa Rica led to the founding of OTS in 1963. OTS was founded to provide leadership in education, research and the responsible use of natural resources in the tropics. To address this mission, OTS conducts graduate and undergraduate education, facilitates research, participates in tropical forest conservation, maintains three biological stations in Costa Rica and conducts environmental education programs. For more than a century, the university has been guided by the Wisconsin Idea, a tradition first stated by UW President Charles Van Hise in 1904. Van Hise declared that he would “never be content until the beneficent influence of the university reaches every family in the state.” Today that belief permeates the university’s work, fostering close working relationships within the state, throughout the country and around the world. Pepperdine University is an independent, medium-sized university enrolling approximately 8,300 students in five colleges and schools. Seaver College, the School of Law, the Graduate School of Education and Psychology, the Graziadio School of Business and Management, and the School of Public Policy are located on the University’s 830-acre campus overlooking the Pacific Ocean in Malibu. Courses are taught in Malibu, at six graduate campuses in Southern California, and at international campuses in Germany, England, Italy, and Argentina. Founded in 1891 by the Evangelical Covenant Church, North Park University is located on Chicago’s north side and enrolls more than 3,000 students from around the country and the world. At North Park, excellence implies not only a deep tradition in the liberal arts and the Christian faith, but also a spirit of innovation, reaching out to serve and to learn from the dynamic community around us. Cultural study centers enrich the life of the campus and connect us to the diverse people of Chicago whose roots extend around the globe. Graduate and special undergraduate programs bring adult, working professionals to the campus on evenings and weekends, enhancing the University’s resources in the liberal arts as well as in specialized areas such as business, the health sciences, and education. The Neotropica Foundation is a private, not-for-profit Costa Rican organization founded in 1985. The Neotropica Foundation provides the technical, scientific and financial means to promote and develop alternative production methods and provide for sustainable management of natural resources and protection of biodiversity. The Neotropica Foundation promotes the generation and dissemination of technical and scientific information related to the environment. The Corcovado Foundation was created by members of the community of Drake Bay , mainly hoteliers, whom concerned for the imminent destruction of the rainforest of the area, worked to create the Corcovado Foundation. With over 30 years experience Swiss Travel Service is a solid, professional, efficient company, capable of sharing Costa Rica in a responsible way with citizens from around the globe who would like to visit Costa Rica. GreenTracks provides the finest nature-oriented trips into tropical regions of the world. Founded in 1992 by prominent tropical biologists, GreenTracks has delivered memorable adventures with expert guidance to hundreds of vacationers, including both amateur and professional naturalists.